Social work is a demanding industry, and as such hiring managers have high standards for applicants. 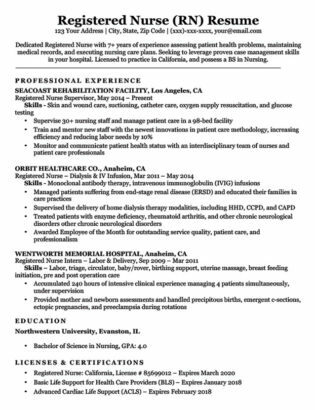 Our social work resume example and strategic writing tips will help you plan how best to impress and get hired. On the other hand, if you’re exhausted after a tiresome day of providing social services to others, let our builder do the hard work for you and create your own in minutes. Not the resume you’re looking for? Peruse our expansive list of resume samples to find the right fit for you. Want to spruce up the design? 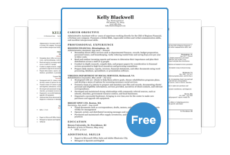 Check out our stylish free resume templates for some pointers. Ready to start working on your cover letter? Put yourself ahead of the rest with help from our extensive collection of cover letter samples. 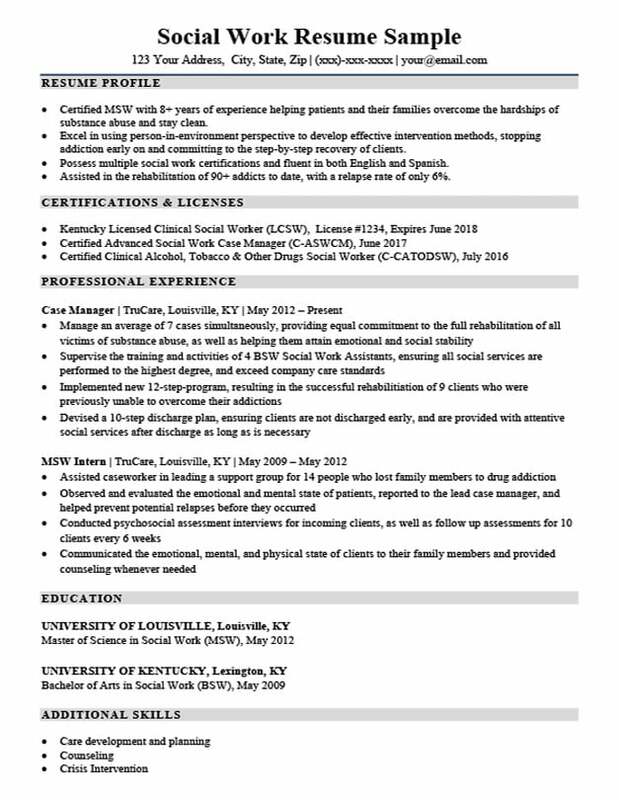 Certified MSW with 8+ years of experience helping patients and their families overcome the hardships of substance abuse and stay clean. Excel in using person-in-environment perspective to develop effective intervention methods, stopping addiction early on and committing to the step-by-step recovery of clients. Possess multiple social work certifications and fluent in both English and Spanish. Assisted in the rehabilitation of 90+ addicts to date, with a relapse rate of only 6%. Assisted caseworker in leading a support group for 14 people who lost family members to drug addiction. Conducted psychosocial assessment interviews for incoming clients, as well as follow up assessments for 10 clients every 6 weeks. In many industries, you need to focus more on certain aspects of your resume. IT applicants need to emphasize their technical skills, whereas recent college graduates focus on their education. For social workers however, almost every section is equally important. This is why you have to put an equal amount of time and care into every part, just as you would for each of your clients. These tips will help you create the type of strong resume you need to land a job. Depending on the social work organization or company you are applying to, the importance placed on various job requirements will differ. Certain places will be looking for specific certifications, whereas others might care more about your experience or education. Therefore, it is important that you pay attention to the job description for the role you are applying to, and highlight the aspects they value most. The ultimate goal is to make it easy for the hiring manager to find what they are looking for. The best way to do this is to place the section emphasized by that organization at the top of your resume. Hiring managers have a lot of resumes to get through. If they don’t see what they’re looking in a quick glance they will throw yours out! For example, does the company emphasize the importance of having certain certifications? Then put them before your work history. Don’t be afraid to mix it up, the structure of your resume doesn’t always have to follow the same formula. If you’re applying to multiple different jobs, make sure you use this strategy and tailor your resume structure to suit each one. To get a job as a social worker, you’ll need a long list of qualifications before a hiring manager will take you seriously. This is why using a professional profile is perfect, because it gives the hiring manager a nice little snapshot of your biggest strengths. As you can see, the first bullet point is the real big hitter — the candidate immediately hits three key points that a hiring manager looks for in a social worker: they’re certified, they have a MSW, and they have more than 8 years experience. By using this method, you can ensure that the hiring manager gets this essential information quickly and easily. The remaining bullet points can then be used as tools to show what you will bring to the job, beyond these necessary qualifications. The second bullet is also extremely useful, because it highlights your specialization. There are many different types of social work, such as military, health care, education, etc. This bullet allows you to communicate your capability and knowledge in your specialization from the very beginning of your resume. If you have expertise in various domains, you’ll want to customize this bullet point to highlight the expertise required by the particular role you are applying for. Or, emphasize abilities that are transferable to multiple fields, such as the “person-in-environment perspective” mentioned by our example candidate. This bullet is used to list your strongest applicable skills. If possible, you can also include skills specifically mentioned in the job description, so that the hiring manager immediately knows you have them. In the example, our candidate states they have multiple certifications — emphasizing their diverse skillset. They also mention their language ability. Language skills are highly sought after in social work, because sometimes you will have clients whose first language is not English. This is where you show off your greatest relevant achievement. This will vary from person to person. Try to think of the most impressive thing you have done in social work, and put it on display. It could be anything from implementing a successful program, to helping a large number of clients. Just make sure that it’s impressive, as well as related to the job you are applying to. The combination of these four bullets creates a powerful opening statement that proves you’re the strongest candidate for the job. If you need more help, take a look at our guide on how to craft the perfect resume profile. In the above tips we emphasized the need to make it as easy as possible for the hiring manager to see important information. Quantification allows you to then make that important information as clear and strong as possible. Use quantification to give the hiring manager a clear idea of your abilities. Quantification is essentially just adding numbers to your achievements. This not only makes your accomplishments seem more impressive, but it also gives the hiring manager a clear idea of your abilities. Quantification will mainly be used in your work experience section, however it can also be used to strengthen the bullets of the professional profile as well. Check out the professional experience section of our how to write a resume guide for more details on creating strong bullet points! Number of clients you work with/have helped? We like to think of the additional skills as the “bonus” section. This is where, after you’ve thoroughly impressed the hiring manager with your experience and qualifications, you really drive home the deal. As a social worker, you are constantly interacting with other people, so your interpersonal skills are something you can include in this section. You could also include specific social work techniques or practices that you were unable to mention in other sections of your resume. In the case of our example, the candidate included their abilities in care planning, counseling and crisis intervention — all skills that are extremely useful when it comes to helping and dealing with clients. By following these tips you will have a solid resume capable of swaying any hiring manager and landing you interviews. 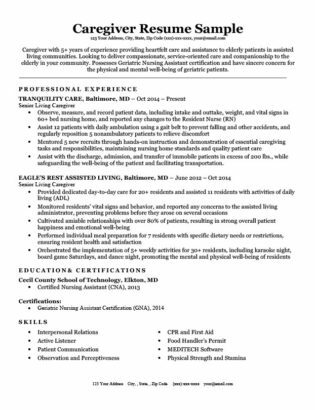 If you’re ready to get started, download our free social worker resume sample, or use one of our many HR approved resume templates.